There is more trouble afoot for the little girl whose granny is (still whisper it) a witch, whom we first met in Hubble Bubble, Granny Trouble. 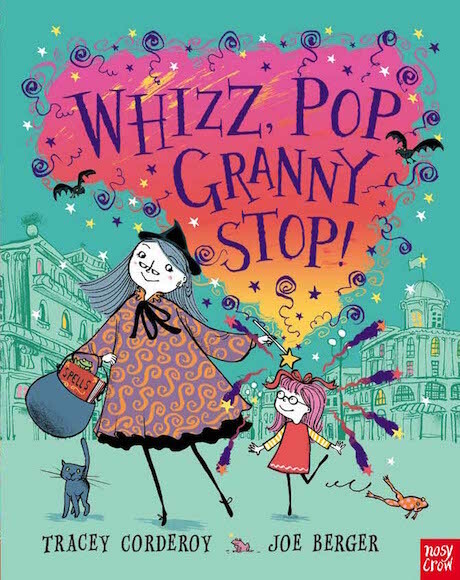 Granny just loves to help – a little bit of magic always speeds things along – and she’s happy to whizz out her ‘helping kit’ at the drop of a pointy hat. However, sometimes all her granddaughter wants is to do things under her own steam, and to spend some quality time – well, normal(ish) time – with her beloved granny. But is her birthday party the right time to choose to turn down the magic? “My granny likes to . . . help me. She helps my friends out too. It’s just the kind of thing that Granny really likes to do. When we’re building sandcastles and Granny lends a hand . . .